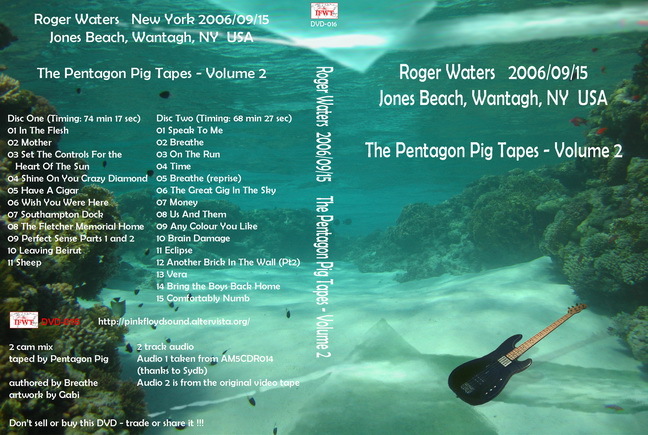 "The Pentagon Pig Tapes - Volume 2"
After raining all day long, the skys miraculously cleared just as I arrived at the show. A rainbow could be seen as you approched the venue, hovering directly above it. A sign of a great night to be. Recording is a bit windy at times, Jones Beach is known for that. Also during the show for some reason the sound guy made the drums sound swooshy and compressed. This can be heard on the recording at times. This was not caused by me. This is just how it sounded that night.